5486 ft (1782 m) . 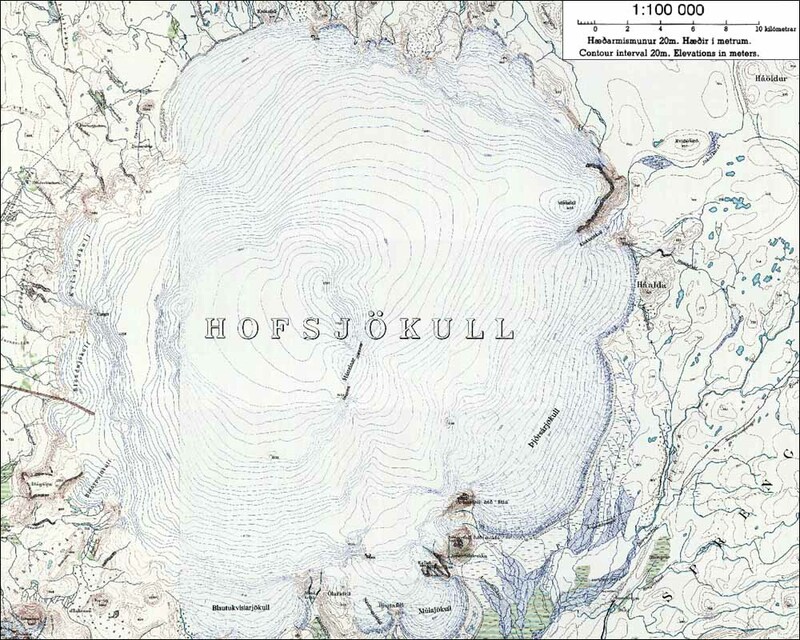 Located near the center of Iceland, Hofsjokull volcano underlies the western part of the Hofsjokull icefield, the third largest in the country at 360 sq. miles (925 sq. km). 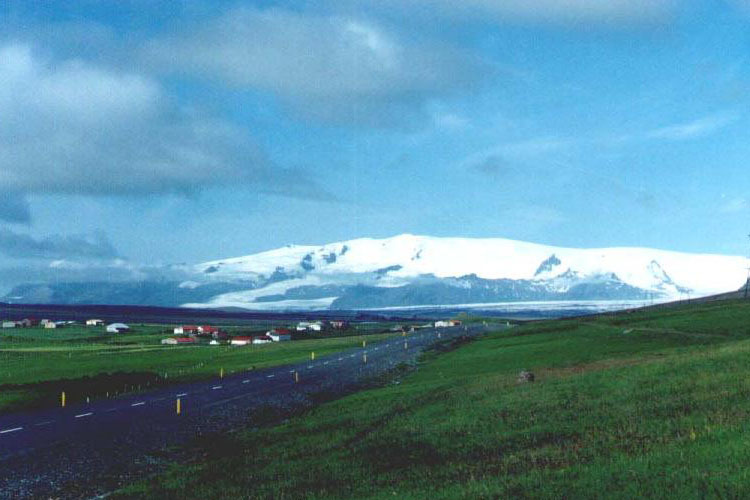 Like many other subglacial volcanoes in Iceland, it has a large caldera about 7 miles (11 km) in diameter hidden beneath the ice. 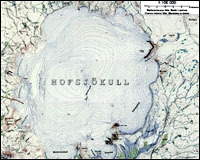 Hofsjokull is more remote than the three other major icefields, and so it is not nearly as popular with skiers or motorized users. The standard access points are at the southwest and northeast ends, and the traverse is about 30 miles (50 km).